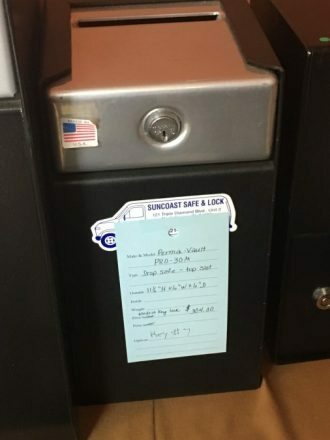 This litttle PermaVault is a great safe for protecting a small amount of cash. Ext. Dimensions: 11.5" X 6" X 6"
Price: $304.00 Under 20 Lbs.